Enjoy a flight of three wines! Do you know your Brunellos from your Barolos? Nestled in the courtyard in Roslindale Village, Sophia's Grotto awaits your discovery. Upon entering, the aroma of the wood-oven, the warm glowing decor and the delectable Meditteranean dishes will greet you and you will have discovered your "home away from home". 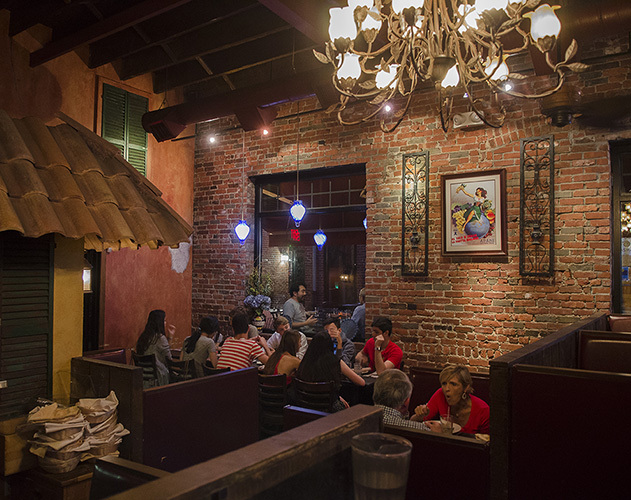 Sophia's Grotto opened it's doors in March 2005 to warm reviews. 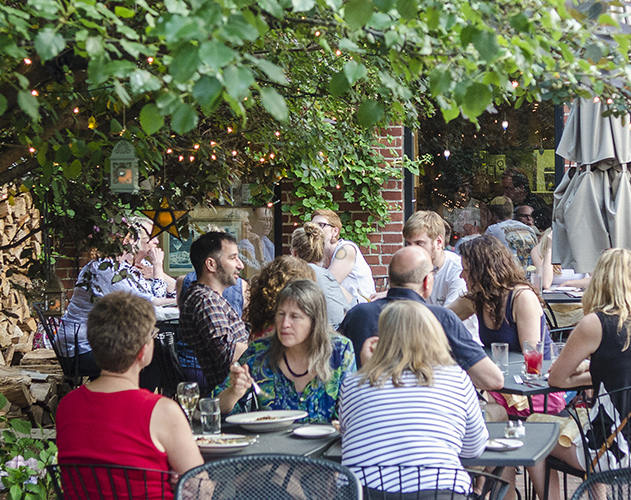 In 2008 Boston Magazine recognized Sophia's Grotto as on of the 25 Best Al Fresco Spots. In 2009 Sophia's Grotto was awarded Boston Magazine's Best of Boston for Affordable Al Fresco Dining. 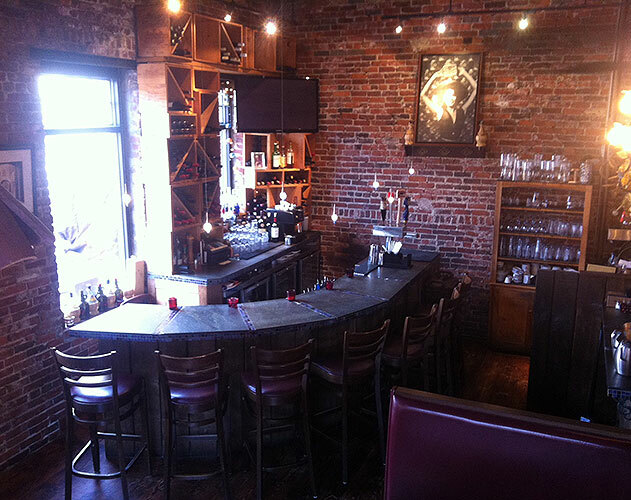 And in 2013 Sophia's Grotto was named Boston Magazine's Best Roslindale Restaurant. 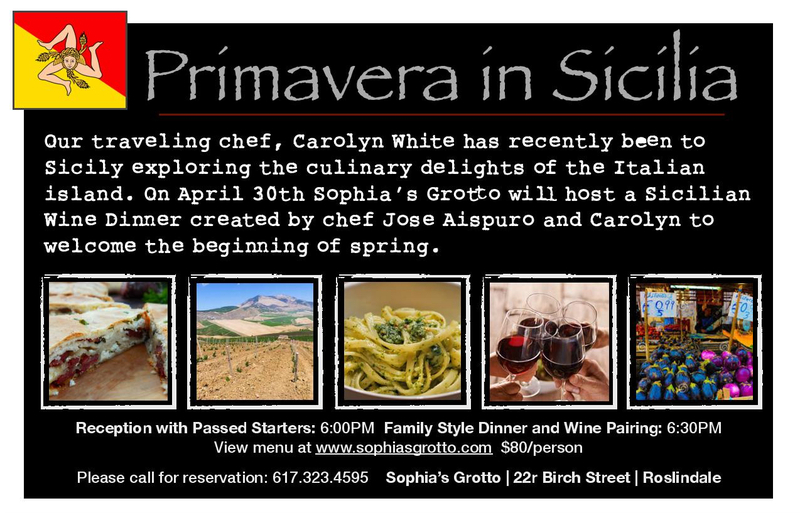 Come to Sophia's Grotto and discover one of Boston's best kept secrets! Sophia's Grotto awarded 2016 Wicked Local "Best Roslindale Restaurant"